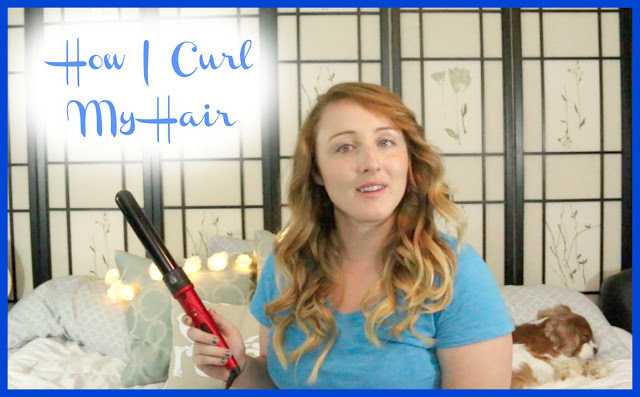 As you all know I have very fine hair, I also live in Hawaii which means I deal with a ridiculous amount of humidity and that makes it very hard to maintain a well planned and executed hairstyle, so for todays Tutorial Tuesday I thought I would show you guys how I curl my hair and what products I use to make it last through the whole day and into the next. The first thing you want to do is comb your hair until its completely smooth, then spray your hair thoroughly with the texturizing spray and then brush through. Then pray your hair with the heat protection and again brush through. 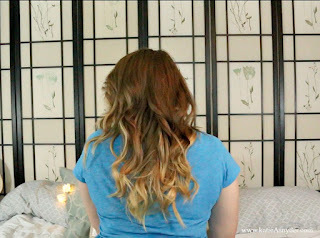 Then section your hair off so your starting with the bottom half of your hair, and working from your back part foreword spray each section with the texturizing spray, when I curl my hair I curl 1 strand away from my face, then 1 strand towards my face, and then I repeat for the rest of my hair. After I complete a section spray the section with the hair spray and then repeat on the next section. 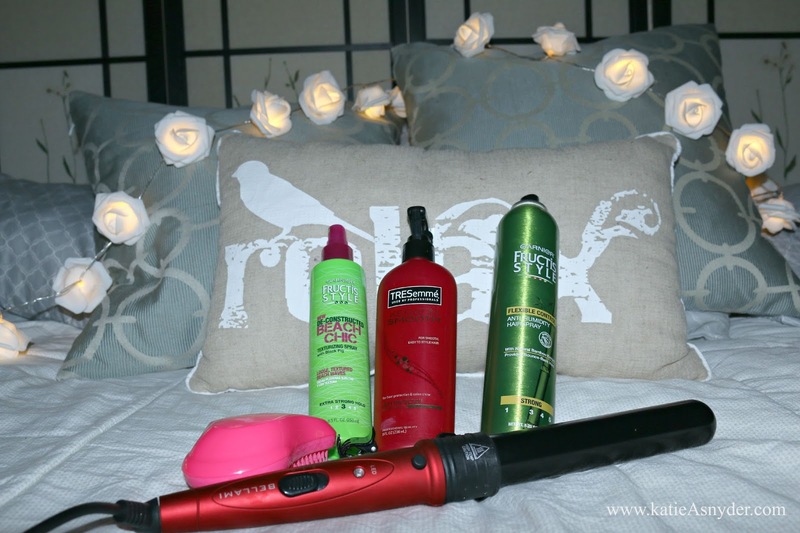 After your done spray your entire head with the hairspray and then using your fingers gently work it into your roots, this will provide volume as well as it will make your hair style last longer. I like to shake out my curls but because I have very fine hair and its hard for it to hold a curl, I don’t like to run my fingers through the actual curl, just a little head shaking will do it. 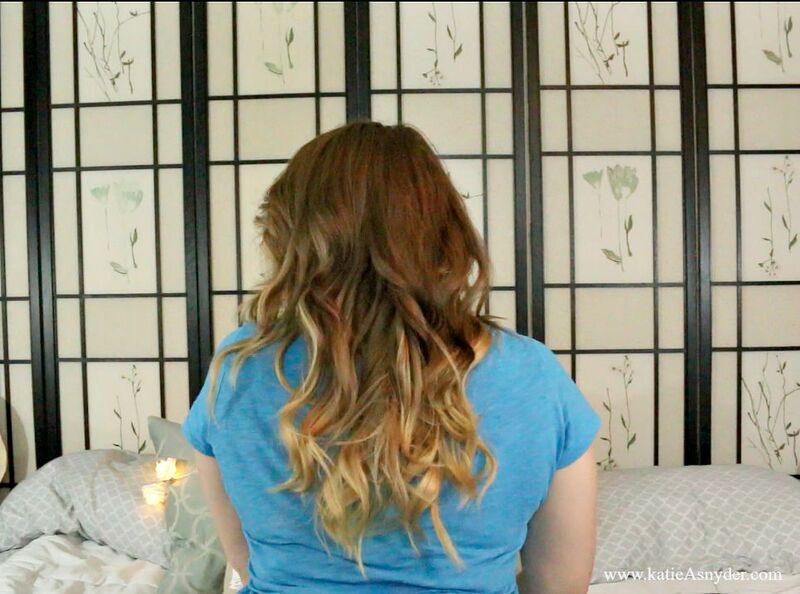 Also if you don’t wash your hair this curl will turn into light waves the next day. And now your ready to take on the world! This is how it looks from the back, when I finish. Here is the video I made for this post, it will give you a little bit better insight into what I do and how I do it.